Need to know how to zest a lemon? Have a recipe which calls for lemon zest? First of all you need to know which part of the lemon is the zest. The outer skin of citrus fruit such as lemons or oranges consists of two layers: the zest and the pith. The zest is the bright, yellow, shiny outer skin of the lemon. The pith is the white fibrous membrane underneath. This part is usually fairly bitter and not very pleasant tasting. It is the yellow part you want. When zesting a lemon, the idea is to only take off the yellow part and leave the pith behind. It is the oils in the zest that provide that special flavor when added to other ingredients. There are a number of kitchen gadgets designed to remove this, and which one you use really depends on whether you want it finely grated or in long strips. Using a zester results in long, thin strands which can be left as is or chopped more finely. Simply run the zester along the length of the fruit. For continuous strips, begin at one end and drag the zester in a spiral fashion around the fruit. This produces finely grated zest and is ideal for baking. Rub the lemon diagonally across the grater. You will need to keep continually turning the lemon to avoid grating the white pith. If you don’t have a microplane you could use a cheese grater. If you don’t happen to own a grater or a zester a vegetable peeler will still do the job. You just need to be careful to take off the zest only and not the pith. 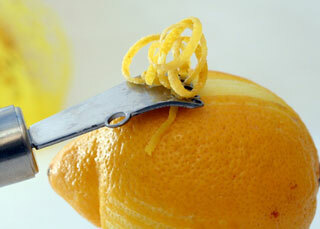 Cut the strips vertically from one end to the other or cut around the lemon in a circular fashion. Always wash your fruit before you begin in case it has been sprayed with pesticides. 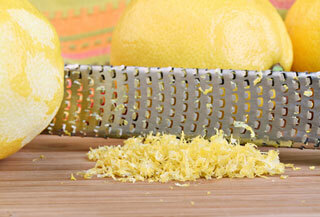 If you are juicing the lemon as well, grate the zest first before squeezing the juice. Once you grate your zest it should be used immediately. 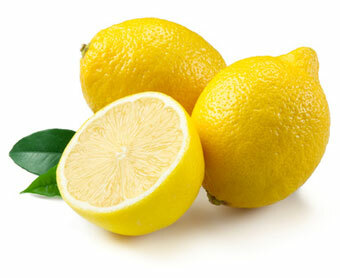 Lemon zest can be added to almost any recipe from cakes, cookies, sweets, sauces, salads, pickles and chutneys. 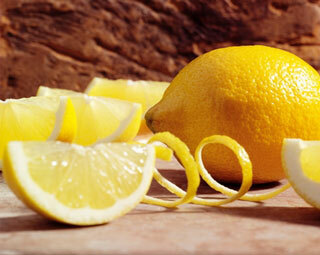 Learning how to zest a lemon will add flavor to your cooking without drastically changing the recipe.